Cuckoo for Cocoa Poos ? 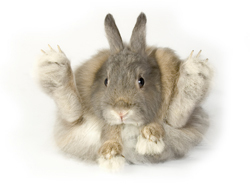 This weekend, I started some research on rabbit poo that is for sale on the web. 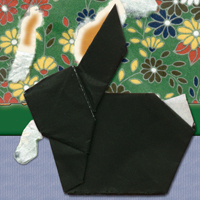 See The Wonderful World of Bunny Poo yesterday for how this investigative trail got started. I had put a potential name of Cheeripoos below the picture of our bunny poo since the bunnies eat so much oat hay. However, Blaine thought that Cocoa Poos for the deep chocolate coloring might be more descriptive. Here we are already disagreeing about the name for a hypothetical product. Someone commented yesterday that they thought that bunny poo might be available for sale on Ebay. So I had to look. Yes, you can find rabbit manure for sale on Etsy, Ebay and Amazon. Ebay had the most sellers, so the best ability to comparison shop is there. I found three sellers of bunny poo on Ebay. The first seller advertises 6 lb. Rabbit Manure! !~~Best Organic Fertilizer There Is! The Buy It Now price is $6.99 with an $11.00 shipping cost. The picture shows the rabbit producers with their food bowl which I think is a nice touch. 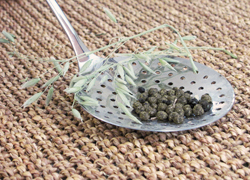 There is an excellent description with lots of benefits and reasons for using bunny poo. I like the added touch of using a green color for the text. It gives it a nice eco conscious feel. This seller says, “YOU’LL NEVER GO BACK TO MIRACLE GRO!! !” which is a strong closing. They have this listed with more than 10 available which is a scary quantity of rabbit poo sitting out there somewhere waiting to be bought. The second seller on Ebay has two rabbit poo products for sale. They have 6 lb or 10 lb Rabbit Manure, Organic Fertilizer. Both sizes are Free Shipping. The 6 lb size is $16.95, while 10 lbs is $21.95. Awww, I open up the listing and see they have a description with a cute cartoon that includes a rabbit and a worm poking its head up out of the ground (one assumes fertilized with bunny poo!). There is a picture of the rabbit poo which looks disturbingly like pebbles on the beach in beige, gray and sandy colors rather than the deep colors I am used to seeing with our bunnies. So now I am concerned about the health of their rabbits. They call their product “Bunny Berries”. They say they make every effort to ship the manure “dry”. Eeeuwww, TMI. The background throughout is green providing a professional look to the listing with an eco feel. Unlike the first seller, this seller has filled out the Ebay Item specifics. They give the condition as New. I guess a real debate could start as to whether manure / compost / fertilizer is new or used. I think I have to disagree with the “in its original packaging” part of the new statement. Wouldn’t that be still inside the rabbit? Anyway they list the application as “All Purpose” and I decidedly would not go that far. This seller also has more than 10 available on both the 6 lb and 10 lb listings. So this seller has an unreal amount of rabbit poo sitting around somewhere. Wow, this is a whole lot more bunny poo for sale than I expected to find online! I am now running way late and pooped out. Oat Hay + Rabbit = Cheeripoos ? As a cottage industry, seriously. I have often fantasized about getting the bunnies to earn their own keep. I had read at one time about a how-to book that had information for using bunny poo to start a worm farm and then sell the worms to fishermen. Blaine has a wonderful green thumb and we use bunny poo in our garden. So I have always been aware of the rich fertilization in the poo since it is already composted veggies and hay. It is also nice hard dry little marbles that are easy to pick up and don’t have much of an odor. However, I had never heard or thought about the possibility of actually selling bunny poo online. I had just recently joined the Creative Breakroom forum. In one thread I learned about a challenge they had a while back for “Jars O Crap”. Everyone was to take a Mason jar and fill it with whatever, take pictures and then list their jars online. Looking through the challenge thread and the very creative responses had me laughing myself silly. This is the one I loved the most: Un Bocal des Peaux D’Oignons. Oh so very special, I am almost tempted to buy it myself. If I had been there at the time to take part, the title had me thinking quite literally about my most available free item here, a jar of bunny poo! So I got into a discussion in the Breakroom on the topic of bunny poo. What do you say the expiration date is on a bottle full of bunny poop? What kind of shelf life does that have? Or does it become vintage at some point? Rapid thoughts were running through my head as to whether that would be tagged as handmade or a supply. Do I say I made it myself or it was created by my rabbit collective? Some pointed out that a bottle could have explosive gas issues and that holes in the top or a plastic bag with a nice label might be better. As we were verbally flinging the poo back and forth in this discussion, one member asked another if they had heard back officially on this. That is when I found out that someone had investigated whether selling bunny poo on Etsy was allowed. They were told that it was, as long as local laws and regulations in regards to animal compost are met. Hey, I am living in a farming community! I will just bet I can find out about that! That is where hysterically funny idea meets up with actual business opportunity. Too funny! I suppose I should be incredibly alarmed with myself that the idea of selling bunny poo has generated more creative marketing ideas in my head than anything else this year. Perhaps there are whole huge cottage industries out there for the unemployed to sell pet waste and help feed their families. I did check this morning on Etsy and there are current active listings there for both Rabbit Manure and Llama Beans. Objectively, the picture for the Llama beans was a great deal cleaner (does that term ever apply to compost?) than the Rabbit Manure. The Llama Bean title is also more appealing than Rabbit Manure which sounds a bit too down on the farm for eco conscious urban viewers. So I sense an opportunity to upscale the market for rabbit compost / fertilizer. I am intrigued in my research today on Etsy to see how many people have tagged their items with fertilizer when they aren’t selling compost ??? I am not at all certain about the thinking on that one for SEO keyword searches. At this point, I have no idea where I am going (is that a poor word choice?) with this. The minimum I expect is to have some great fun and laughs here for the blog. Since laughs have been in short supply at many points this year that will be oh so welcome. So stay tuned for poo! I just love this photo from istockphoto.com! It is Saturday, a day to unwind, review, mull … zzz. Whoops have to catch myself. Actually, I have been hopping and bopping around the internet to various sites. 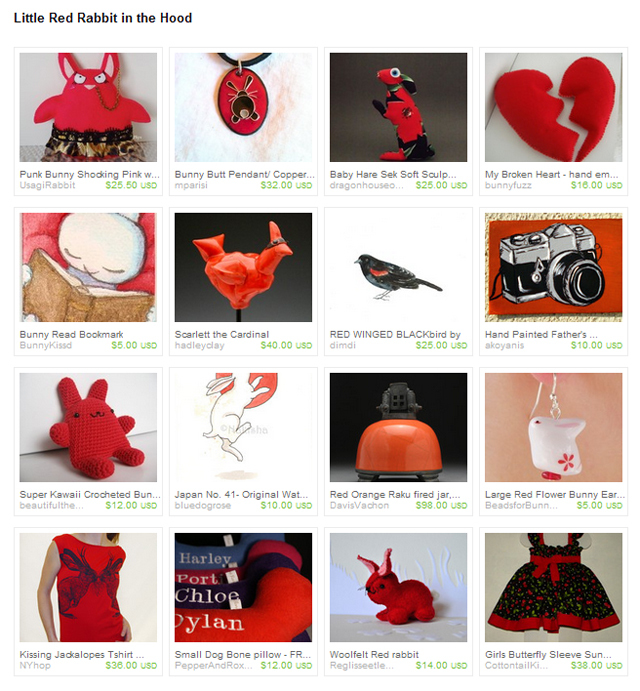 I am always on the look out for great bunny things or funny bunny ideas. I am thinking about bunny poo today, lots and lots of bunny poo. Part of that is because I see lots and lots of bunny poo. Even when I don’t see the bunnies, I see evidence of the existence of bunnies here. We didn’t realize that the careful leaving of rabbit droppings in specific areas is part of rabbit territorial marking. Now we do. However, we keep telling Tigger and Shadow it really isn’t necessary to mark the area around their litter box as theirs by ringing it with poo. No one else is going to be claiming those boxes. We have found that a kitchen skimmer (dedicated to the bunnies, no going back to the kitchen now!) is a great tool to scoop those up and drop them in the litter boxes. The cat scoops always had holes too big and allowed the poos to drop right through. So where am I going with all the poo? Oh that would be telling today and I am going to make you wait and come back another day to find out. Last week on Saturday, Tigger wasn’t eating or drinking and appeared to be fading fast. After lots of work this week with syringe feedings of Oxbow Critical Care, water, Simethecone for gas, pain meds and tummy rubs, Tigger has bounced back. Last night she and Shadow were running all around the house up and down. Such a joy to watch. 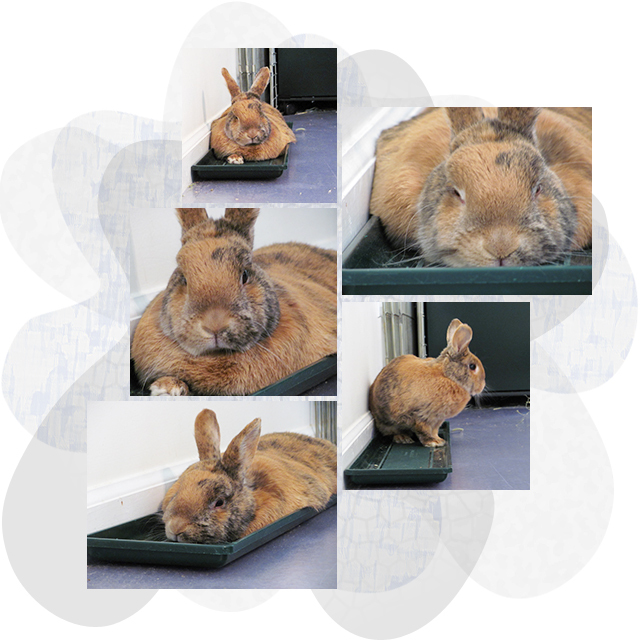 This is a collage of pictures I took of Tigger this afternoon relaxing on a bunny favorite, the plant tray chaise. I was in the mood for a laugh. 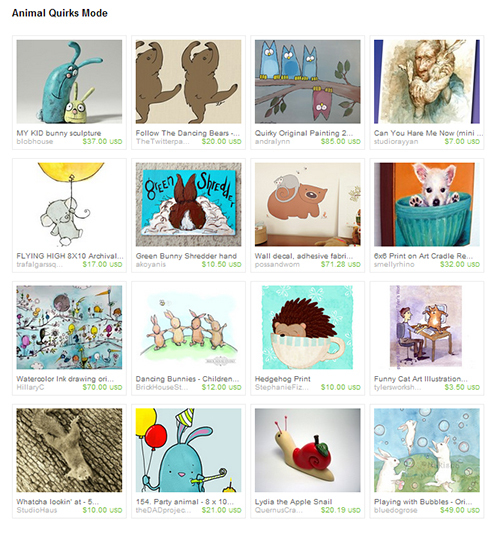 So I created this quirky animal treasury on Etsy. 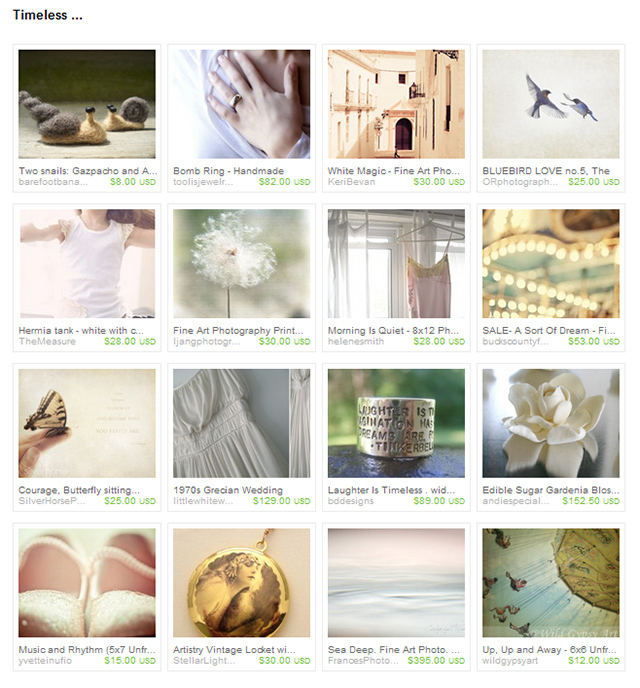 ~ Click Here to go to the treasury and see these items. I rounded a curve in the pond and took this picture of the ducks starting off swimming. From this direction, the water has changed to reflecting cool blues, deep greens and charcoals from the sky and trees.